Viking Books for Young Readers, 9780670785582, 480pp. The epic Wereworld saga continues as Drew Ferran—werewolf, leader of people, and the rightful king of Lyssia—battles the evil Catlords who seek to oppress the kingdom. As the war’s scope widens, Drew and his allies take the fight to the high seas. But just as many terrors await them on the water as on land, with pirates and scoundrels abounding and a host of previously-unknown werelords emerging to take sides in the war that threatens to destroy the Seven Realms. 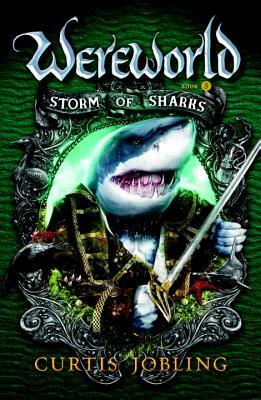 Called “Game of Thrones for the tween set,” (School Library Journal), the Wereworld series hits a new high in this fifth book! Curtis Jobling (www.curtisjobling.com and www.badablingthing.com) is the author of the Wereworld series. He's also known for being the designer of the BAFTA-winning BBC show Bob the Builder. His early work in animation included model and puppet painting on Wallace & Gromit's A Close Shave and Tim Burton's Mars Attacks! He's also the creator/director/producer of Nickelodeon's Curious Cow animated shorts and the author and illustrator of several picture books.